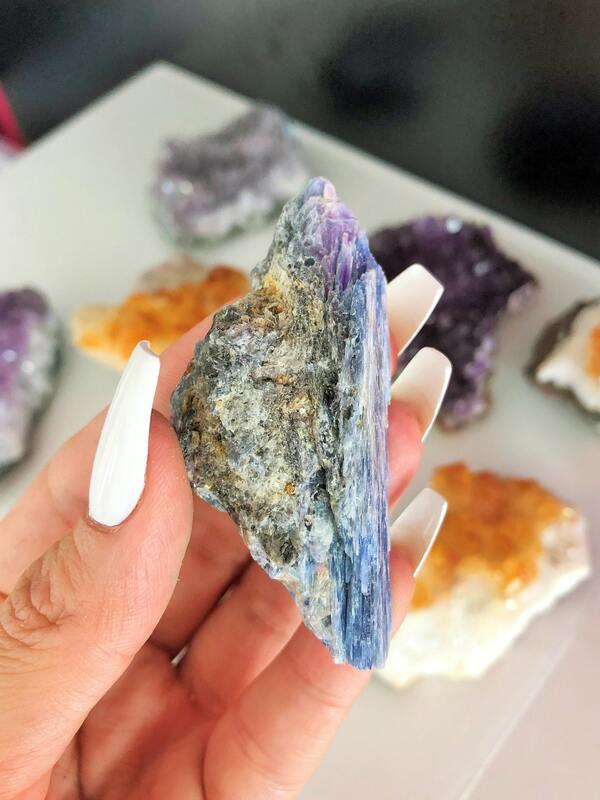 Blue Kyanite Healing Crystal Stone. 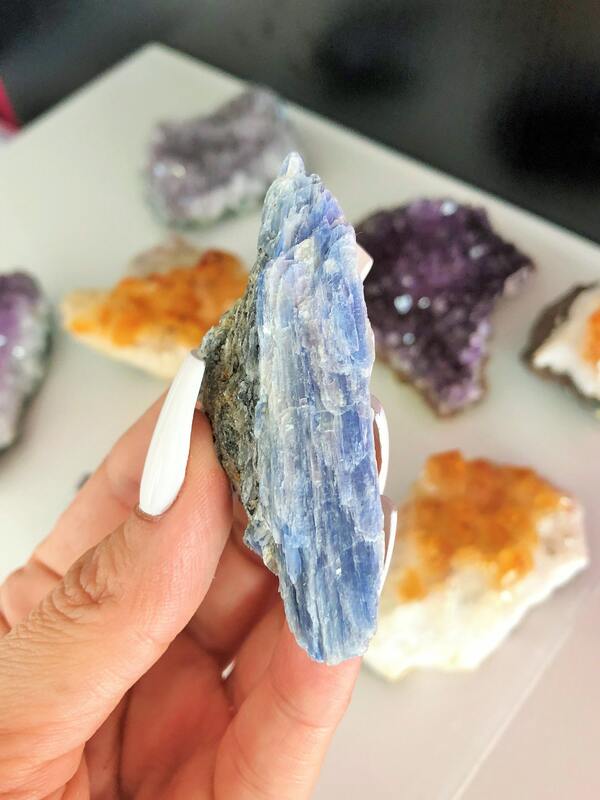 This crystal immediately aligns the chakras, brings tranquility and creates a calming effect. 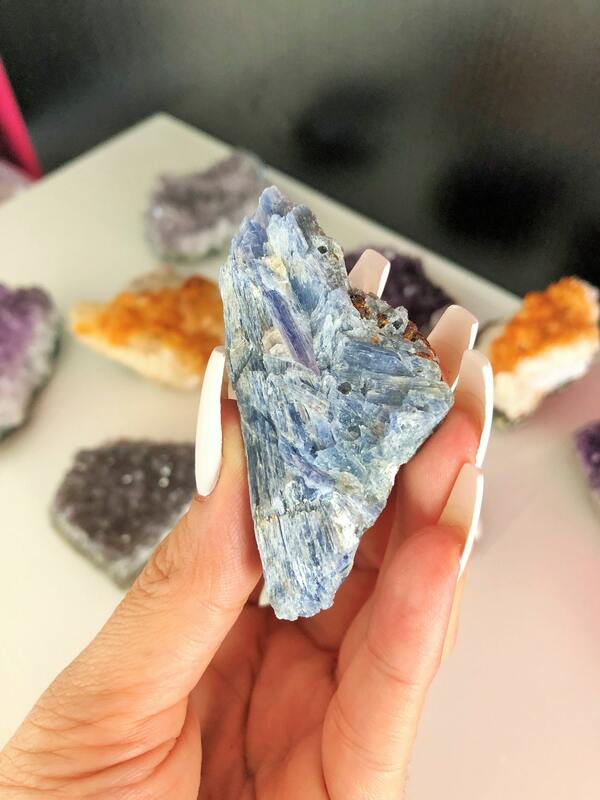 Kyanite inspires loyalty and fair treatment to others. It assists in working through disagreements and disputes, and can aid in repairing damaged relationships. It is beneficial in negotiations, diplomatic missions, arbitration and other forms of communication between disharmonious people, allowing disparate energies to move into resonance and find a common frequency. 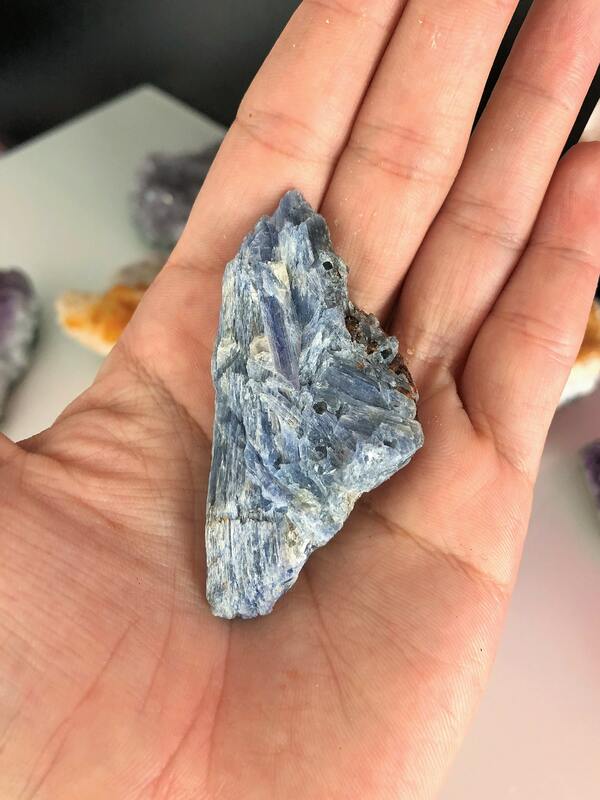 You will receive the same kyanite shown in pictures.